BP's new director of comms faces a 'tough but not impossible' job, according to one PR expert. Reports hit the wires yesterday that BP has appointed BG Group head of government affairs Peter Henshaw as its new director of comms. Henshaw, a former long-time BP employee, will take up the position next month, heading both internal, press and government relations at BP. 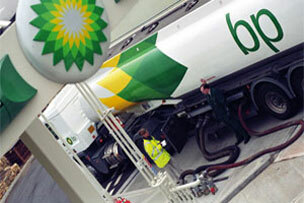 Henshaw previously headed up comms at BP's Russian joint venture, TNK-BP, from 2003 to 2008. Weber Shandwick chairman of corporate comms and public affairs Jon McLeod said: ‘The challenge to BP is its capacity for it to project itself being a strong company. It’s tought but not impossible. Last October, PRWeek reported that BP was seeking an ‘Anji Hunter-type figure’ in a newly created position to take control of comms, as it seeks to rebuild its image in the wake of the Gulf of Mexico oil spill. Luther Pendragon partner Mike Granatt added: ‘They need somebody who knows how to fight on two equally difficult fronts. The first, of course, is the long job of rebuilding public and political trust. The second is no less important - winning the trust and co-operation of an engineeering-dominated culture, people who instinctively dismiss soft power. The news comes after head of press Andrew Gowers left the company in November. BP has revealed that no replacement will be sought for Gowers, and that press officer David Nicholas will take over responsibility for the press office. In December, PRWeek revealed that BP is using Bell Pottinger to help stress its credentials as a biofuels company.